Jet Airways is seeking shareholders' nod to convert its debt into equity, appoint bank nominees on the board and increase the authorised share capital of the company to enable the issue of fresh preference shares. An extraordinary general meeting (EGM) of shareholders has been called on February 21 to seek approval for these proposals. The move comes as the airline's founder-chairman Naresh Goyal is negotiating a debt restructuring and fundraising plan. 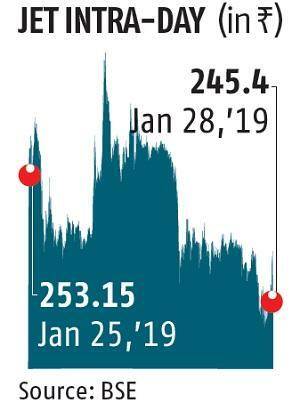 Sources said a proposal to bring down Goyal's stake to less than 20 per cent from 51 per cent was being discussed. Enhancing authorised share capital, which the EGM would take up, would allow Jet to issue fresh shares and convert loans into equity. At present, the airline's authorised share capital is Rs 200 crore, while its paid-up equity capital (excluding share premium) is Rs 113 crore. The airline has proposed to raise authorised share capital to Rs 2,200 crore. This would comprise Rs 680 crore of equity capital and Rs 1,520 crore of preference share capital. "The airline could be looking at multiple fundraising instruments and one way could be issuing redeemable preference shares in lieu of external commercial borrowings," said an industry expert. Besides appointment of bank's nominees as directors or observers on the board, shareholders will also need to approve modifications to the company's articles of association and memorandum of association. Jet has a debt of over Rs 8,200 crore and a consortium of banks led by State Bank of India is working on a resolution plan after it defaulted on its principal and interest payments for the December-end quarter. The resolution plan is likely to be finalised early February. 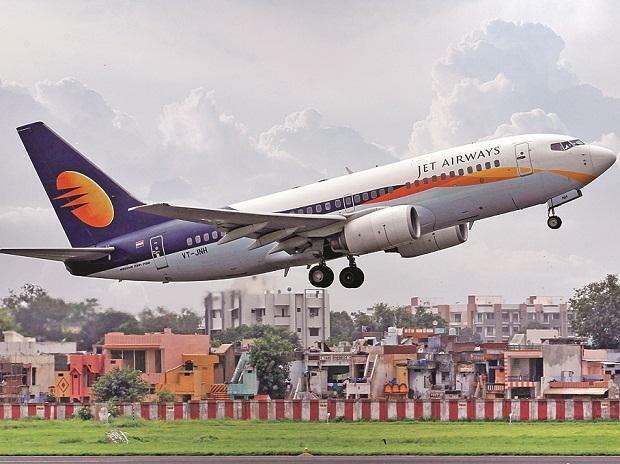 Recently, Jet had said it was working on a comprehensive resolution plan, including options on the debt-equity mix, equity infusion by various stakeholders and consequent change in the composition of the board. It said the resolution plan was under discussion among stakeholders and proposals were yet to be crystalised. According to a revised plan, Goyal's stake in the airline could go down to 16-18 per cent, while Etihad Airways' shareholding may rise from 24 per cent to around 40 per cent. Lenders would hold around 30 per cent, while the remainder will remain with the public. Etihad has sought a waiver from an open offer and relaxation of preferential pricing norms. The Securities & Exchange Board of India (Sebi) will take a decision on the matter soon, it is learnt. The Abu Dhabi airline has also appointed Alvarez & Marsal to do due diligence on Jet. Etihad has indicated that it would complete the formal due diligence by February 15 and has agreed to support the release of $35 million from Jet's loyalty programme to the airline as an interim financing measure.